Good article by Karlin Lillington in the Irish Times @klillington on venture investment in Europe, which grew strongly in 2014. It's also interesting to see more US funds getting involved in European deals, for example the recent $20mn investment by Andreesen Horowitz into UK based Improbable. 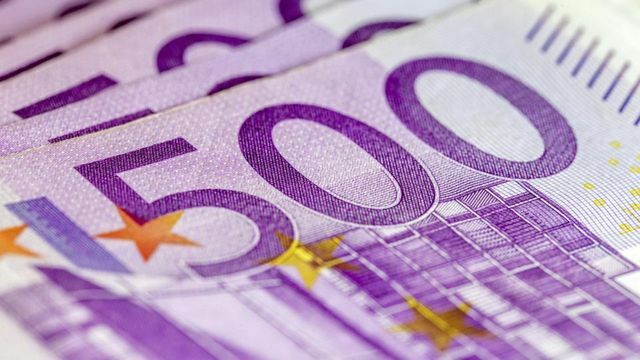 Growth in funding in Europe in 2014 surpassed the US, with some $5.7 billion invested in 855 deals, reaching a 4 year high, and representing a 78 per cent rise in funding on the previous year, according to a new report. “It was a big year. Relative to the US, there was higher growth in terms of funding levels,” says Anand Sanwal, cofounder and chief executive of New York-based investor data analyst CB Insights, which recently released its 2014 European Tech Report. The report is based on available data on all venture deals done in Europe for the year. The 2014 figure is a 250 per cent increase on 2011, when $2.3 billion went to European tech firms. Both average and median seed deal sizes rose, with average deals up 10 per cent and median deals up 29 per cent year on year. The average Series A (first venture round after seed funding) amount rose to $5.8 million, but this was in part due to megadeals. Nonetheless, European funding was spread more evenly across all series of funding, in contrast to the US, which has experienced a trend towards huge megadeals, the report says. E-commerce companies took in the most cash, featuring in four of the top seven European deals in 2014. The European payments sector also features strongly as a recipient of international investment. “There’s a lot of complexity there [to operate in Europe]. If you can crack the code in Europe, those are the companies that really get payments and may do well internationally.” The report’s list of the most active VCs in Europe might surprise. While it includes well known names like Balderton Capital, Accel Partners and Index Ventures, the top place went to High-Tech Gruenderfonds, a state-supported seed investment firm in Bonn – roughly similar to Enterprise Ireland – that is not widely known outside of Germany. The UK led in the number of deals done, as it has for the past four years. In 2014, it saw 225 deals. In second place is Germany with 154, then France with 63. The most unexpected finding in the study was that Italy appeared as a fast-rising contender to be a technology hub. The report notes that deal numbers increased by 208 per cent – from 30 in 2011-12 to more than 70 in 2013-14. According to research by CB Insights that was posted to the company’s blog in January, the median capital efficiency of $100 million-plus European exits in the past 14 years is 18.56x, compared to US exits at just 8.14x. “So, on the outcome side, Europe has some very nice characteristics,” says Sanwal.